Company/Brand Claim: I could not find this product on the website, although it is present at the store. Result: I have never had good luck with finding the right tones of powder, honestly. If I went with the representative's recommendation, I'd always end up buying lighter shades, the same thing happens when I trust the monitor screen and order online. So this time, I finally put my foot down and decided I will not buy a powder until and unless I find the right shade! Quite dramatic no? I headed to Mikyajy in Mega Mall, Sharjah, after I came across an ad for the Luminous pressed powder and went to get that. But the shades were too gray for my complexion. 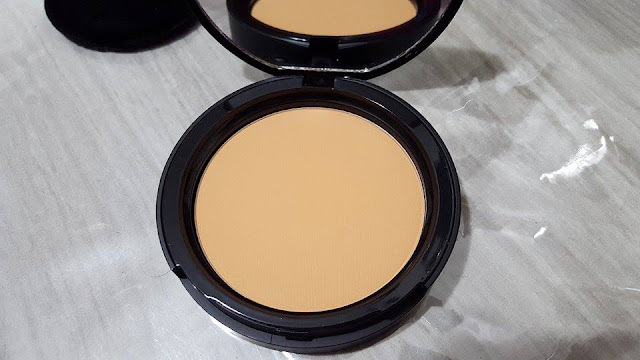 Right there I spotted this matte finish pressed powder which has no name. 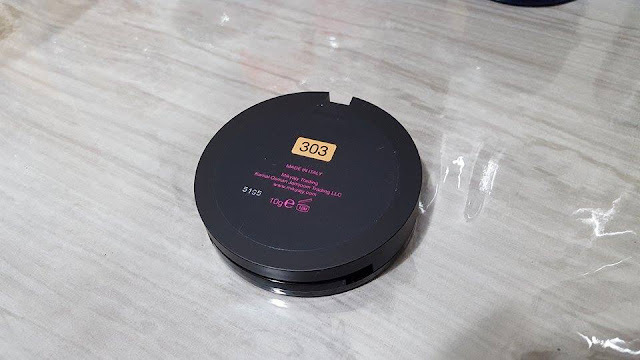 I instantly picked up shade 303 as by only looking at it I could tell this might be the one. However, the representative lady kept arguing that the shade was too dark for me. I tested in not only on my jawline but also under my eyes, and it instantly covered my dark circles. I was like woah! This is good. So I picked up this shade and happily walked back home. 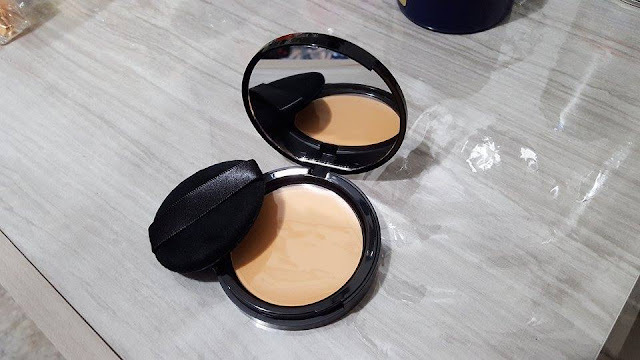 At the store it seemed quite yellow but under better lighting and after application, I figured it is more peach toned and that it why it worked for my dark circles. The packaging is sturdy and professional. I quite like it. 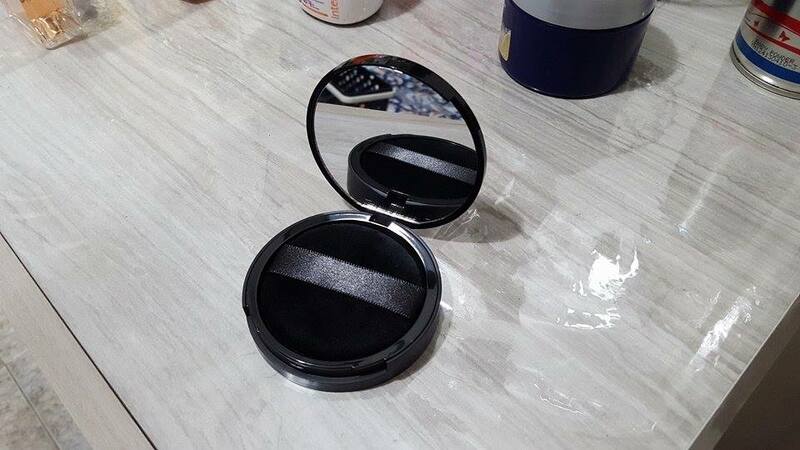 The compact snaps open and close and comes with a mirrored lid and a velvety soft black powder puff. 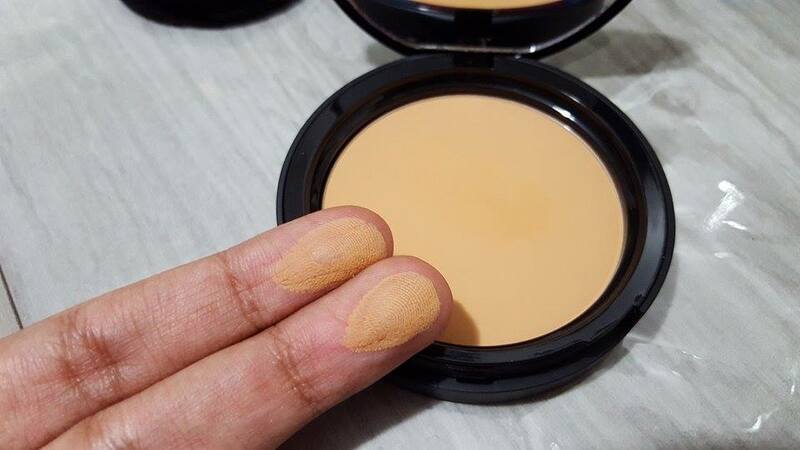 This product is full coverage. I noticed this with the first swipe and has a complete matte finish. If applied too much it starts to looks cakey and orange. And since my skin is on the drier side during fall/winter, I try to keep a light hand. I just dab it on my skin with a powder brush if using it over foundation otherwise, I apply with the provided powder puff. This stuff is great for ladies with oily skin as it does not feel heavy or oxidize. It stays on for hours and hours and I hardly need a touch up. To be honest, this is a wonder product. 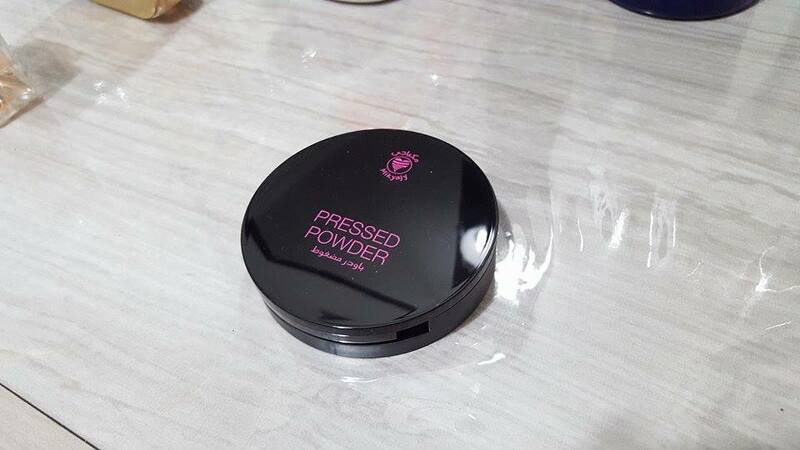 Mikyajy Pressed Powder comes in a couple of shades (I can't remember how many were there in the store) and contains 10 grams of content. 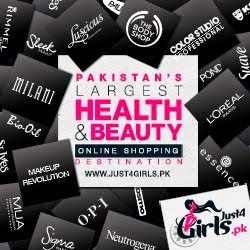 Pakistan: Unfortunately, Mikyajy is not available in Pakistan at the moment. 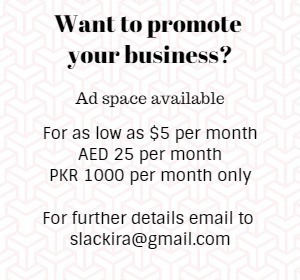 International: GCC countries with Mikyajy stores. Conclusion: All hands down for this one. 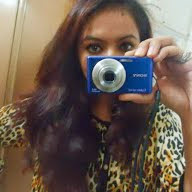 It has all the qualities of a good makeup product. Recommended? Yes. Ladies at the counter always mis-guide, don't know why? I never heard of this brand before. The stuff looks promising! Great review ! Finding the right shade is sometimes such a pain. 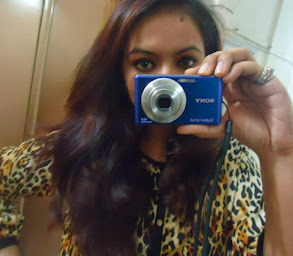 I have been to mikyajy earlier and the products looked promising. It sounds like a winner, would love to try it. Nice review.